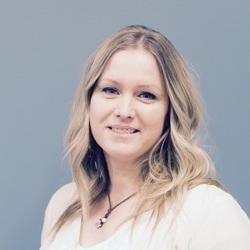 Lissa is our Bookkeeping Manager here at Soulence. She joined our team in November 2015. She received her bachelors in Accounting from Utah Valley University and specializes in Managerial accounting. With her accounting skills she has worked in various industries such as Home Security, Oilfield Operations, Industrial Steel Manufacturing, and Small Business ventures. She is highly skilled in QuickBooks and offers basic training to clients upon request. The thing she loves most about bookkeeping is getting to know her clients and helping them with their financial reporting needs. Lissa has 3 children, 2 bunnies, 2 dogs, a Bearded Dragon, and a cat. Basically a small farm. She loves to remodel and redesign older homes and has leaned to do most construction applications. She enjoys building and refurbishing furniture as well. Her favorite moment in time is driving the north shore of Oahu in a Jeep with her kids.